Us gamers can pwn all you with the mental and physical training, we get day-in and day-out, while you get rekt over small issues and rant like crybabies on social media, haha! From playing platform, strategy, adventure, first-person shooting, to real-life simulations, we develop an immense amount of skills daily, which enables us to joy-ride past the problems in life, yoo! Our beast mode doesn’t only exist in games, you know? NOOBS! Okay, now that I’ve let that out, let’s get back to business. 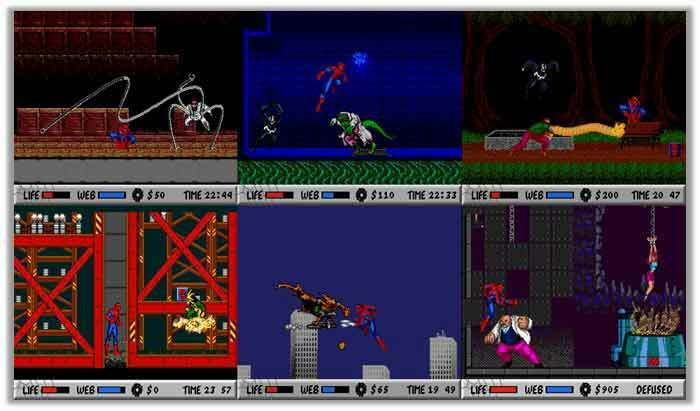 The first game I played was “Spiderman vs. Kingpin”. I immediately fell in love with SEGA and went on to play game-after-game, trying new cassettes almost daily at my friend’s dojo. Fast-forwarding to the advent and popularity of the “Computer”, my attention shifted from Nintendo’s, SEGAs, and PSPs (didn’t own them myself – probably one reason). Then, I got my hands on a Pentium III PC, as a gift. This is where my gaming addiction and the love for P2P/Torrenting began. A friend then told me about the infamous “May Payne”. I got the game, and was hooked straightaway. Soon “May Payne 2” came out, and I wanted it so baldy! I couldn’t afford a trip to the Game Shop because I didn’t have money, as I was still dependent back then. A cousin of mine downloaded the game somehow and introduced me to P2P/Torrenting. I became obsessed! The dark storyline, the damsel in distress “Mona”, and the infamous “Bullet Time” effect, it was surreal at the time. I soon, started downloading all tons of games via Torrents. It was convenient, and I didn’t have to pay a single penny. A decade later and things still haven’t changed, despite the increase of restrictions on torrenting sites by copyright infringement hunters, who are adamant about shutting down the P2P industry. Even now, I find all my games on different sites and download them via BitTorrent, like I had when I was a kid. 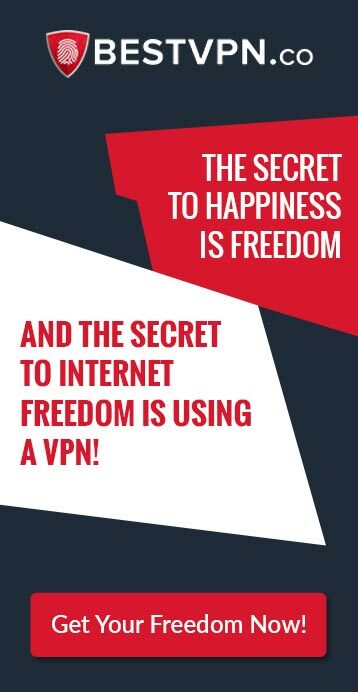 The only difference; I have to be wary about DMCA notices, for which I use Best VPN for torrenting that encrypt my network connection and mask my identity. Remember! You can be tracked by the ISP & reported to copyright companies, who can penalize you or report users’ to the FBI. Therefore, Using a Torrent VPN is vital for anyone, who wishes to stay secure & anonymous while downloading torrents. Every avid-gamer with knowledge about P2P/Torrenting knows about GazelleGames (GGn). 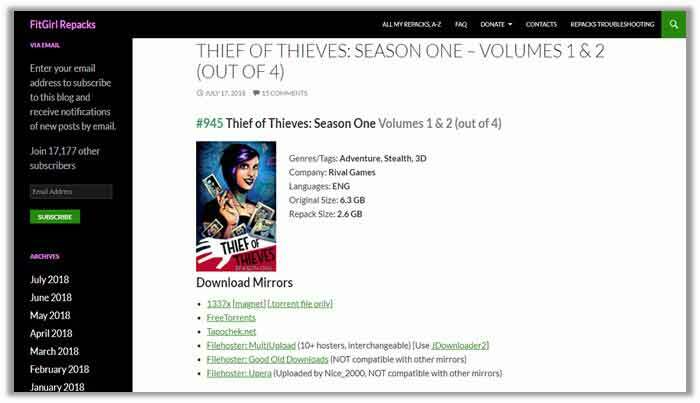 On the odd chances, you aren’t familiar, the site is one of the most famous private torrent trackers for games, where you can find ripped/full versions of all titles, with help from community members. 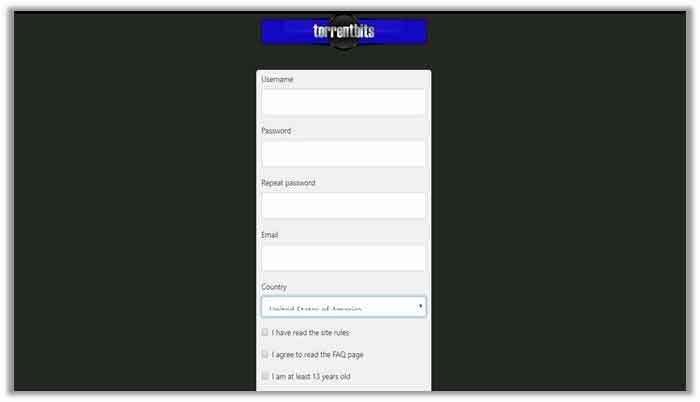 However, using the site isn’t exactly easy, as you need to have an account. For that, you need to fill out a registration form, but bear in mind the signups are limited. You will have to check your application status every few days. Previously, members could add others with invites, but that feature is unavailable now too. 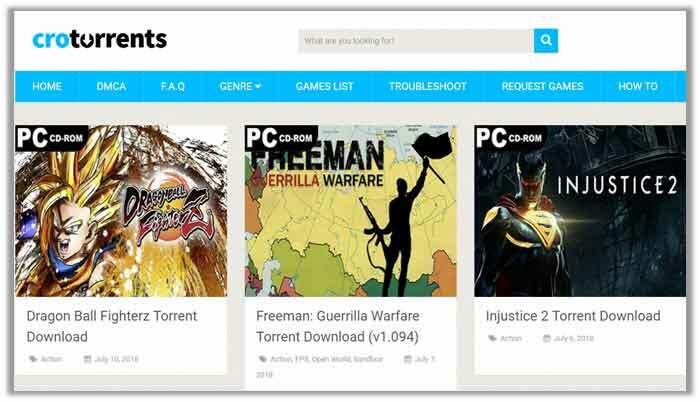 Another reputable name for gaming-maniacs to get their favorite titles is Download Games Torrents. The site has quite a generic name but is stacked quite remarkably in terms of game varieties. You can find cracked versions with installation guides for your PC, XBOX 360, PS2, Xbox One, PS3, PS4, PSP, PS Vita, Nintendo Wii, Nintendo 3D U, and Nintendo 3D S, you name it. The best part of all: unlike GazelleGames (GGn), you can search and download a torrent instantly, rather than having to sign up for a slot in the community – that too before the deadline. Launched in 2003, isoHunt is one of the oldest torrent websites on the internet, boasting a huge library of movies/TV shows, programs, music, documentaries, albums/photos, comics, and GAMING. The site has been taken down several times, but keeps appearing on new domains – to meet the demands and needs of the VPN consumer market – particularly gamers, who want ISO files loadable via Daemon Tools. There is no sign up required. Apart from a categorical listing of torrents, you even have a search query box for swift navigation to the torrent you want to download. SeedPeer made its way onto the marketplace back in 2005 but was soon taken down by MediaDefender (Antipiracy group), who uploaded fake torrents on to the website. 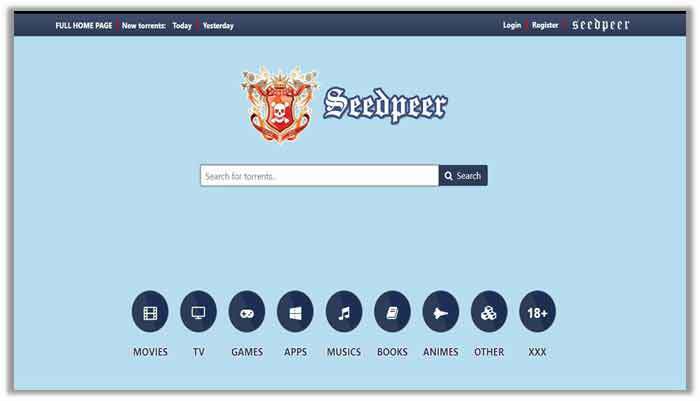 However, just like all other Meganova search engines, SeedPeer made its recovery and has been satisfying our gaming urges since then. Despite being blocked by major ISPs in the UK, the site still enjoys a prominent user base – thanks to a database divided into 8 main categories and 600 subcategories! Also, it has a verified torrents list that has been analyzed by the community for their credibility. For PC-users searching for high-quality game torrents with a good number of seeders and trackers, PCGames-Download is a haven. It houses everything in the PC gaming industry from classic to the more latest names that have become a sensation within a short time. All torrents are divided in alphabetical order with the latest/most popular appearing on the home page. 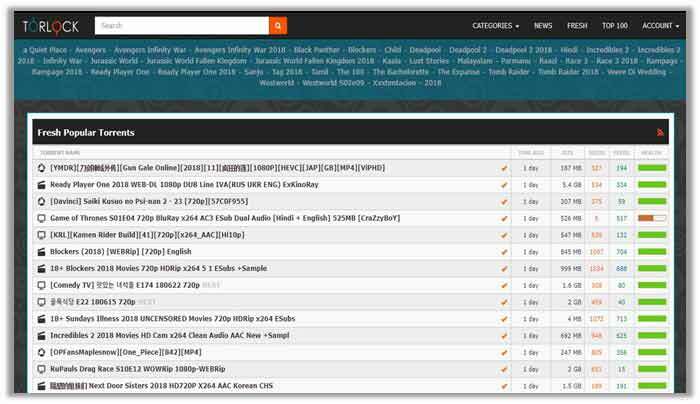 You even have a search bar available for locating torrents quickly and without any hassle. The best part of all: the website provides users with a “TUTORIAL” bar, which explains how to load/install pirated games easily. 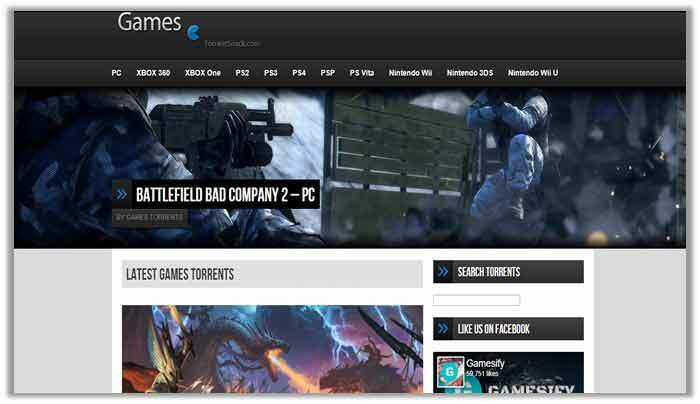 TorrentsGames is another famous and useful gaming torrent site for console and PC-lovers alike. 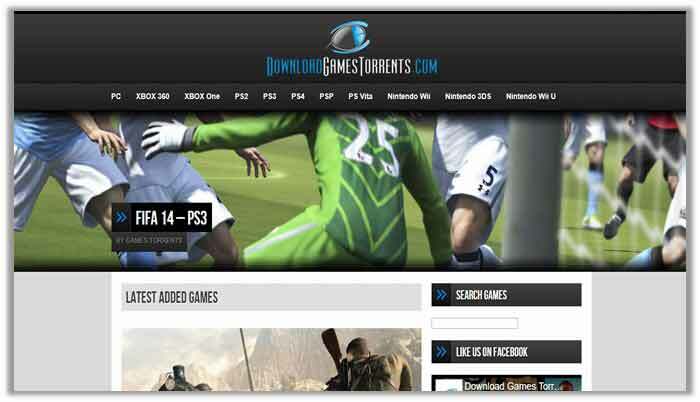 It boasts a huge database of game torrents, which are divided into 14 categories. This includes all of PS2/3/4, the NINTENDO WII/U/S, XBOX One/360, and Windows PC, Macintosh, and even Linux! So, the variety is definitely worth admiring. There is no signup required for downloading torrents, which means you can get started with finding your favorite title immediately. The site interface helps you find codex game torrent files quickly, that too in high quality with lots of seeders! TorrentBees is a website that just never seems to run out of honey i.e. torrents for GAMERS. The site has a huge database of games for all consoles and desktop platforms, similar to the above sites, with the main difference being – you’ll find torrents for less-popular and undervalued games too. As such, it is definitely a good place to visit, especially if you want to try out something new for a change. The Nintendo WII selection of torrents is also quite impressive, so users of the console might want to check the listings out to see if they find something that heats their loins! 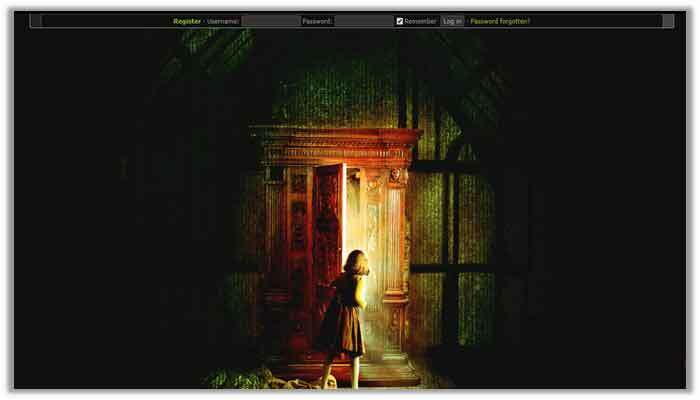 Similar to PCGames-Download, CroTorrents is a P2P/File Sharing website, dedicated to releasing torrents for PCs. This means, XBOX, PlayStation, and Nintendo users might want to check elsewhere. Regardless, the index site is designed to fulfill the needs of torrent lovers quickly and efficiently, allowing them to explore high-quality files and verified downloads, particularly those based on CPY or IPG. The best part of all: you have a troubleshooting menu for all common errors when installing a game. There is also a tab called “Request Games”, which enables users to put in their suggestions for specified torrents. 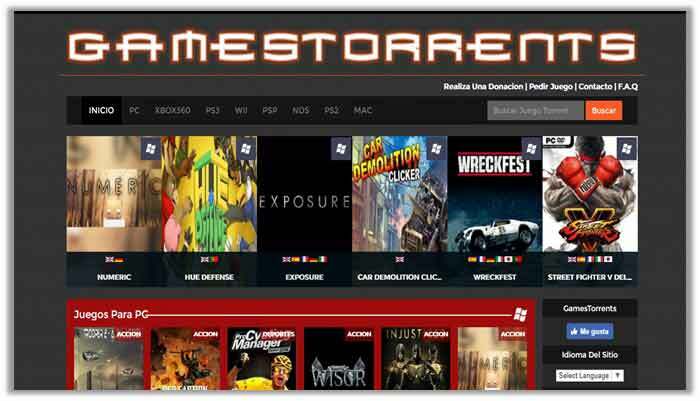 Exclusively built for gaming-addicts around the world, Games Torrents is a Spanish website you can rely on for healthy .exe and .iso file types. Users can even find titles from 3DM Games, Skidrow Crack, and Bloodborne Skidrow, which makes using the website all the more worthwhile, as you know you won’t be wasting your time for finding a cracked version of a specific title. 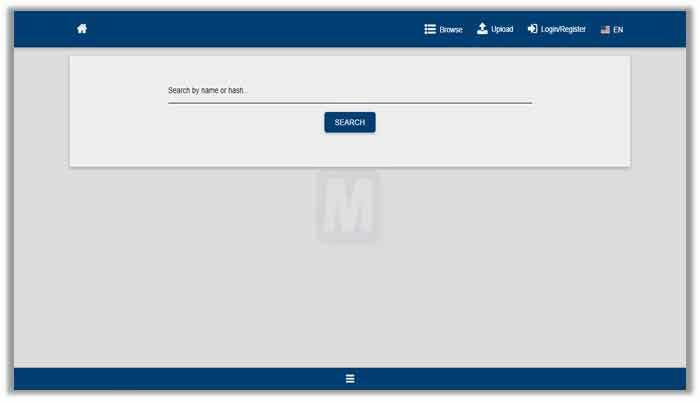 All platforms are supported and users can even utilize the search bar for quickly navigating to a torrent they desire. TorrentSnack Games is as appealing as its name, when it comes to finding the latest torrents for all types of games, be it classics from the 90s all the way to recent releases from 2018! Similar to the above websites, you have access to a library for all devices/platforms, including PlayStation 2, 3, 4, XBOX 360/One, and Nintendo Wii/U/3D S. Unlike other websites, you even have the ability of adding an RSS feed, which keeps you regularly updated on the latest torrents added on the portal. If you are looking for a huge database of P2P/File Sharing, specific to the gaming industry, you can always rely on Ocean of Games. As the name implies, you have an entire ocean of torrents/trackers available, which allow for fast downloads for any game, be it for PlayStation, Xbox, Nintendo, or PC. The best part of all: the website even divided all games into categories by genre. These include action, adventure, arcade, fighting, horror, puzzle, racing, shooting, simulation, sports, war, and strategy! Similar to Skidrow, Black Box Repack, RG Mechanics, and Razor Games, the FitGirl Repacks is a website dedicated to offering both: direct and magnet links for the latest in gaming, regardless of the platform. It meets the demands of all users, including those wanting full-version titles on their smartphones and tablets. The best part of all: there is even a troubleshooting page if you encounter any issues. You can also consult the FAQs section for answers on how to install the repacked versions of games. Experts and enthusiasts alike recommend using a Torrent VPN service to secure your torrent downloads in regions where DMCA and other copyright laws are prevailing. 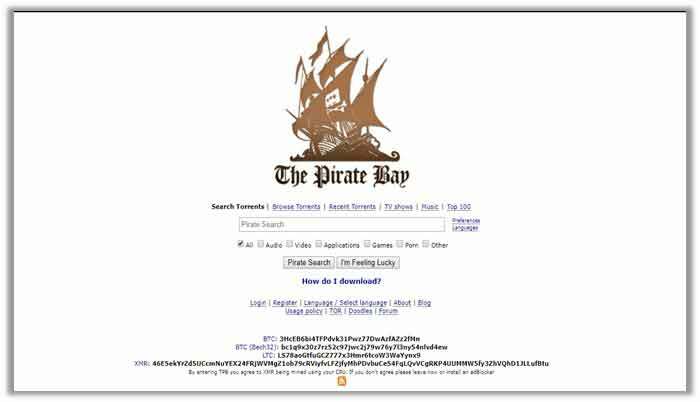 Touted as the “KING OF TORRENTS”, ThePirateBay has been around for 15+ years, refusing to bend over to copyright infringement hunters like a true pirate, Arrr! It boasts a huge collection of torrents, facing domain seizures and DMCA notices regularly, but still manages to survive. As such, you can always rely on the website to find millions of torrents for software, pictures, music, movies, TV shows, books, comics, and even Android games – all in a single location. Here is a list of ThePirateBay Alternatives, in case the domain shuts down for any reason. TorrentDownloads enjoys a good reputation in the marketplace of torrent websites, thanks to its organized, attractive, and highly intuitive website design. It was due to this, TD gained in popularity back in 2017, getting blocked in many countries worldwide. However, where there is a will, there is a way, so torrent lovers still access the website for downloading their favorite Android games, along with different categories/sub-categories of Movies, TV shows, Music, Software, Comics, Books, and more! Similar to other websites, LimeTorrents.cc experience downtimes on and off, with the domain appearing to be unresponsive sometimes. However, the site just like all others refuses to give up and has been battling DMCA and MPAA copyright infringement hunters for over 5 years now. This has earned it a veteran status that has a loyal user-base, who keep the site active, as it appears on other domains to keep the P2P/Torrenting rolling, especially for users who are in search for Android games. TorrentDB is another famous name when it comes to downloading gaming torrents at the maximum level of convenience. 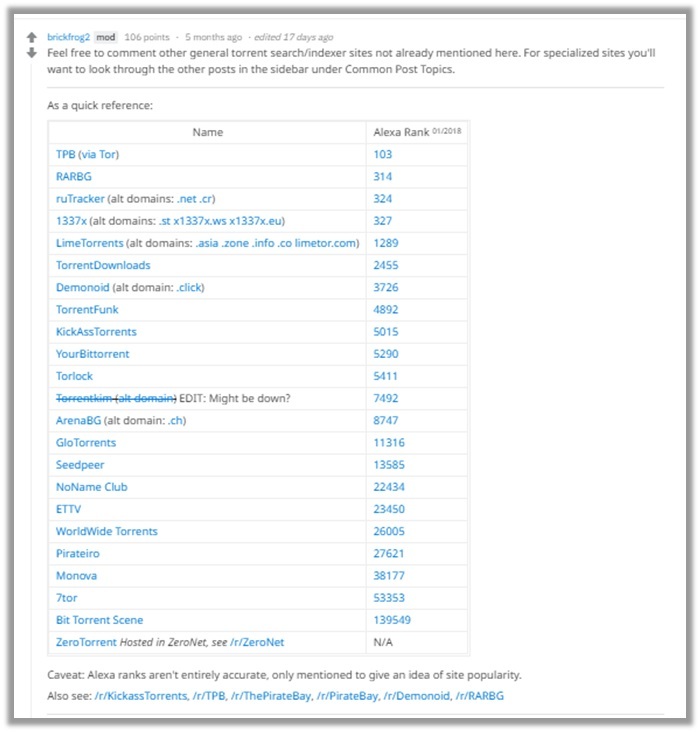 You can access the entire database of 21,789,251 torrents easily, but you can even opt to sign up for a membership and become part of the TorrentDB community. Similar to isoHunt, the website has been receiving quite the pressure from antipiracy agencies. In light of this, it has introduced a Free Binary Client to move their P2P/File Sharing activities in a secure/faster district. 01Torrent is an indexing website that features torrents from domains all over the world. As such, the selection is not only limited to games, but you can also download the latest movies, music, TV shows, applications, books, anime, manga, and desktop software. The best part of all: you do not require a registration to use the website, and you can find ripped working versions of heavy games extending to 30 GB in 10 GB or less. It Is definitely worth checking out, especially for PC-game lovers. Boasting one of the neatest and cleanest designs ever for a torrenting website, Monova manages to stand out from the crowd, offering quite the convenience to users – thanks to its browsing torrents feature, which gives you access to specific category pages. As you can see, you even have a search bar available that further makes finding specific torrents way easier, making sure that you get that Android game you’ve been wanting or its related cracks, redeem codes, and more. 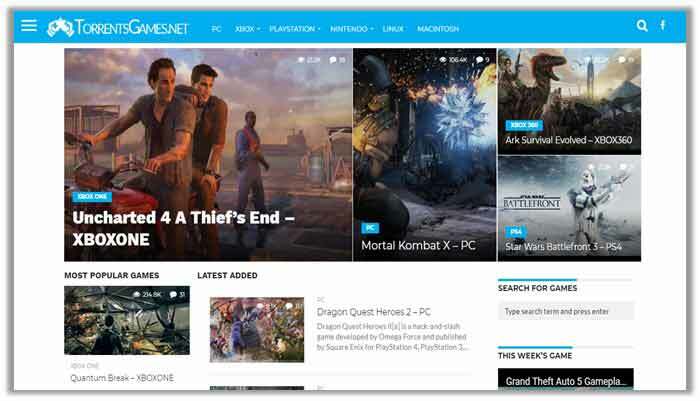 For game-lovers searching for a torrenting website with a clean and attractive interface and design, BTScene is one name that always comes to mind, offering the latest in PC, Console, Android, and iOS games. The site boasts an incredibly user-friendly appearance with an intuitive search engine, which allows for quick torrent-hunting from a variety of categories. 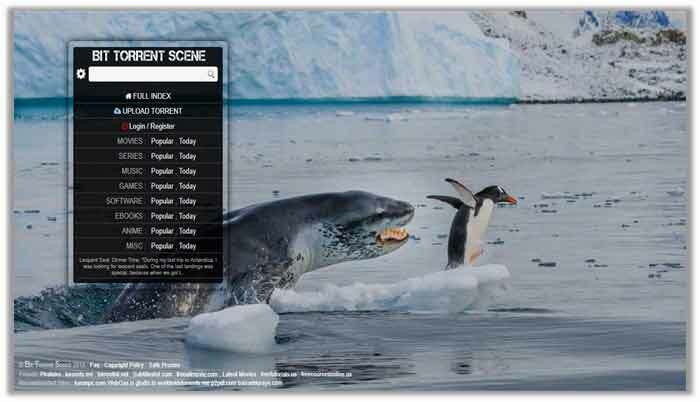 The best part of all: BTScene ranks among the very few websites, which doesn’t overload itself with irritating adverts! 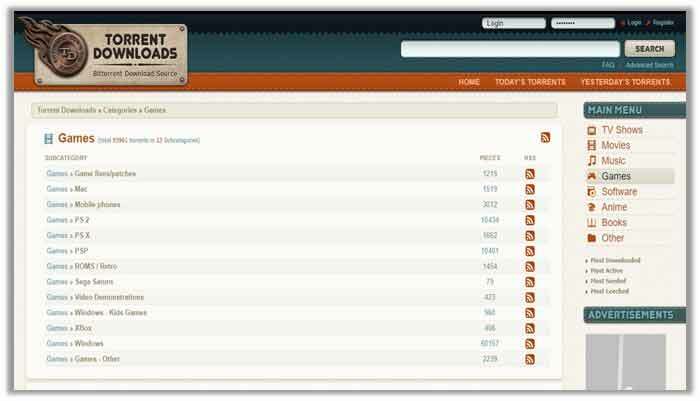 Created by Artem Vaulin, KickAssTorrents exists as the most famous torrent directory online, second to ThePirateBay. The site quickly rose to fame during its initial days but was shut down after Apple Inc lodged a complaint against the owner for distributing pirated content over $1 billion. 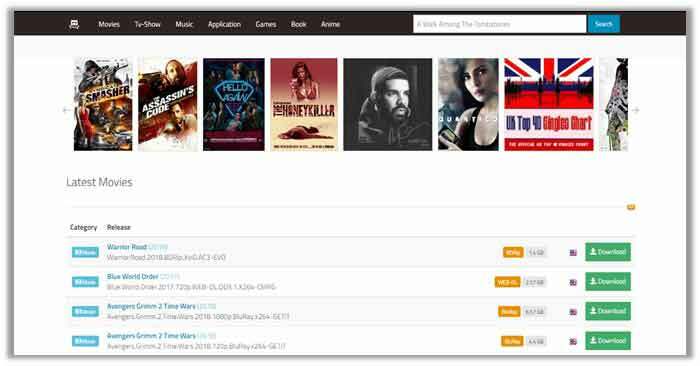 Soon after, numerous KickAssTorrents mirror/clone websites took over the internet, offering the complete KAT torrents database, which means you have a huge list of movies, songs, TV shows, video clips, documentaries, programs, and Mac/iOS games to download. Launching in 2008 and ranking among the top ten P2P sites for 2015, RARBG undoubtedly enjoys a solid reputation among gaming-lovers, thanks to its extensive torrent database, responsive site, and quick navigation. 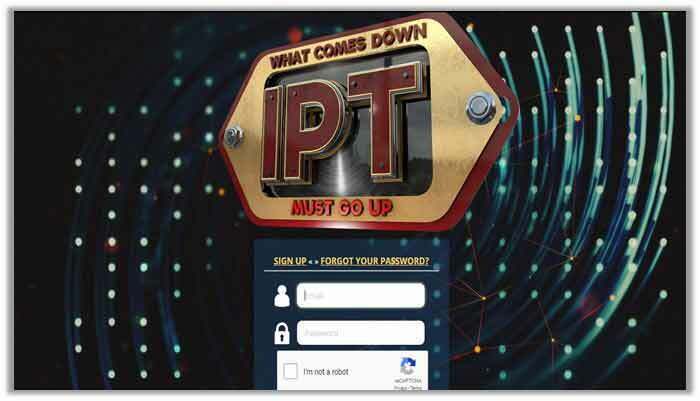 The best part of all: torrent-addicts can even sign up for an account at the website to become part of the local community responsible for posting new torrents, along with updates of the latest in P2P/File Sharing. 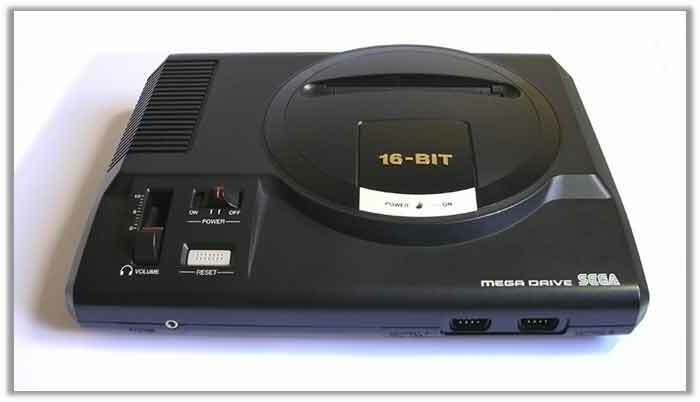 You can feel assured to find any game you want to download for all platforms on the website. 1337X has developed a good reputation in the marketplace among those torrenters, who are sick of the irritating overload of icons, adverts, and trackers on other sites. The website has a beautiful and user-friendly design that is not only intuitive but incredibly responsive too. All the torrents are laid out in different well-organized categories. The best part of all: for every category 1337x displays the most popular torrents in the past 24 hours, which allows you to keep up with the latest in gaming. While TorLock does not yet enjoy a prominent presence online like other torrent indexes, the website is, in fact, a great resource for music, eBooks, anime, and iOS/Mac games, which tend to be harder to find than movies/TV shows. The website uses the slogan “No Fake Torrent” and actually guarantees you will find only quality torrents on its page. In fact, the site even pays users $1, if they find a fake torrent on any of the categories listed. You even have a popular downloads page to help you find new content. 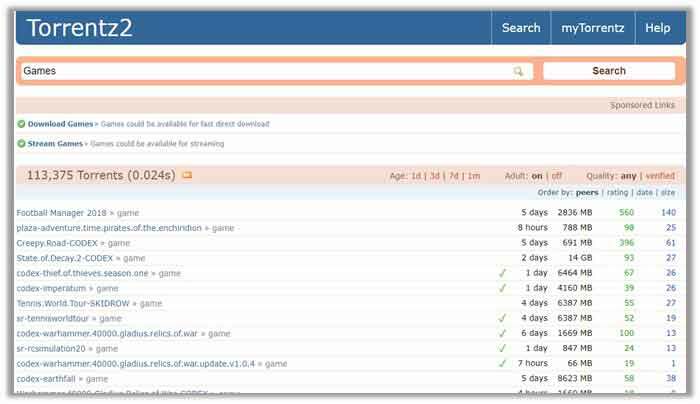 Every torrent lover must be aware of this P2P/Torrent Meta-Search Engine. 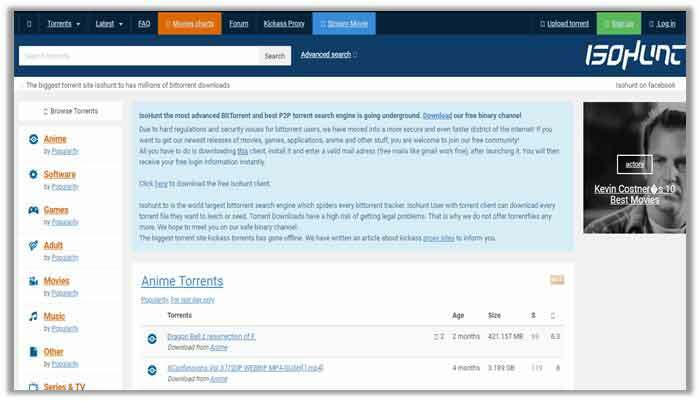 Torrentz was the ultimate resource for finding torrents from a variety of resources. This reincarnated version is a poor mimic of the old one, going through some big changes. To keep users safe, torrents can only be downloaded via the hash. The original clone is the Torrentz2.eu domain, but recently a new one has been earning its place on the internet, which uses the Torrentz2.tv URL – and still offers magnet download. ExtraTorrent is famed as a popular choice for download HD movies/TV shows, as it is home to the popular ETTV and ETRG release groups, offering the best in quality from 420p, 720p, 1080p, to BluRay and even 4K – ensuring an amazing entertainment experience. 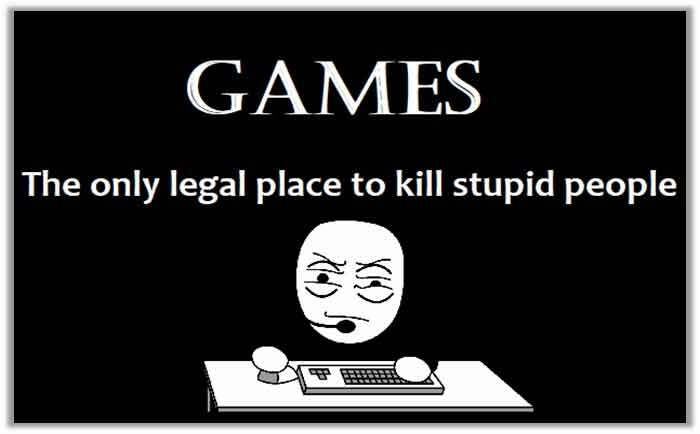 However, the site also offers a respectable and decent library of games for smartphones. This means you can find all your favorite titles for your iPad/iPhone or Android at the ultimate level of convenience. Domain variations in case the .si version shuts down include .io and .cc. Similar to the famous Torrentz2.eu listed above, Toorgle is another “meta” torrent search engine, nicknamed as the “Google of Torrent sites”. Each search you perform on the site will reveal the torrent and the website source, along with a short description for users to read. There are approximately 450+ torrents sites used by the site for providing you relevant links, with over 55,000,000 torrents indexed. As such, it is a great resource to download your favorite iOS and Android games without any hassle! One downside to joining private trackers is that you need to remain an active user. Snatching, or the practice of downloading a file without seeding to an even ratio, is not only frowned upon but can often cost you your account. Unless you’re really into the content hosted by the tracker you’ve joined and planned on downloading dozens of files, your best bet is to pick a good generalized private torrent site and focus your efforts there. 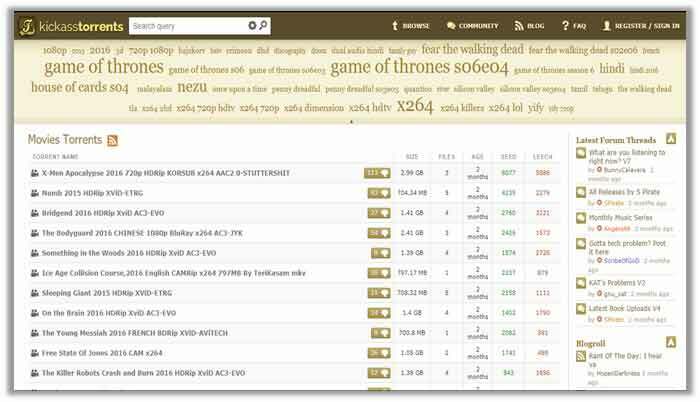 IPTorrents exists as one of the most famous private tracker websites, which offers a huge listing of 700,000 different torrents, uploaded by community members. As such, its content covers just about everything, from movies to software, music to games, hence why the site is often touted as the privatized version of ThePirateBay. The only difference at IPTorrents there are no dangerous downloads or mislabeled files, and all torrents are verified by members. Joining difficulty is easy, but there is still quite a lengthy waiting process, once the sign up limit refreshes and your application is reviewed. TorrentBits is another all-rounder private tracker website, where you can find all sorts of content, ranging from movies, TV shows, software, music, photos, comics, books, and of course games. The joining difficulty of the site is easy, but you will have to wait until the limited sign-ups renew to apply for an account. 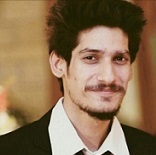 Usually, invites are accepted in a lesser timeframe. Nevertheless, once you join the community and database of torrents is certainly appealing. One of the more difficult in the semi-niche scenes for games to follow is AVG Club. The site is famed for its huge database of anime/manga uploads, along with the latest and classic games in cracked versions. There are over 16,000 users on the site, which have a collection of plus 100,000+ to choose from. As a result, you can feel assured to find healthy torrents for your favorite games, be it from Windows, Mac, Linux, Android, iOS, PlayStation, XBOX, Nintendo, or any other. 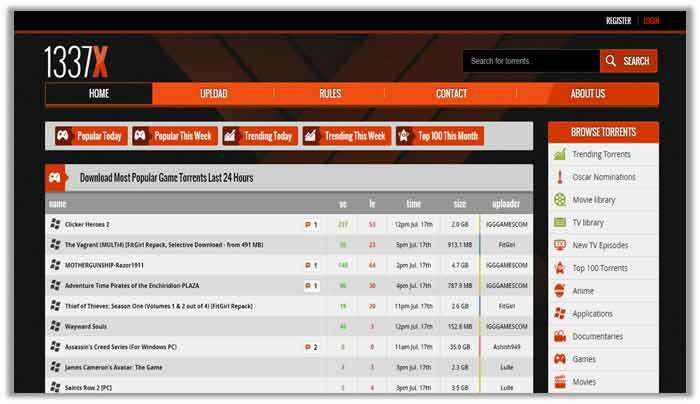 Bit Gamer is one of the only few private trackers available on the internet that focuses on Gaming content entirely. The site boasts a very simplistic design with a black background and a simple sign up form, which requires you to enter valid/accurate information, no pseudo ids. The joining difficulty is relatively higher, as pirated games are under constant monitoring by copyright infringement hunters. 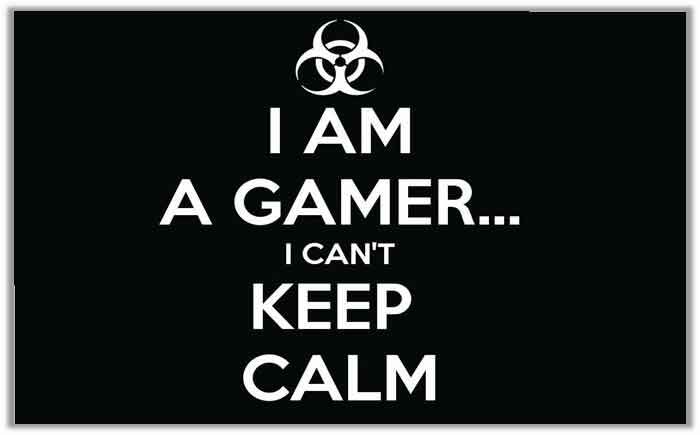 Nevertheless, once you do sign up, you have a huge database of torrents specified to the gaming category! Similar to the Bit Gamer tracking website, Play Bits, as the name implies focuses on the Gaming category entirely – providing users the latest in games for all devices/platforms/OS, including Windows, Mac, Linux, Android, iOS, PlayStation, XBOX, Nintendo, or any other. The joining difficulty is relatively easier than Bit Gamer. Best part of all: there is a list of Top 10 torrents, an upload feature, a community forum for discussion, and even a helpdesk, if you encounter any problems on the website. Demonoid is another famous BitTorrent tracker website, which experiences downtimes as long as two months at times, but still manages to come back stronger with its user-base intact – who instantly start their file-sharing, P2P-related discussions, and uploading of verified torrent files. I had an account at the time, where private sites were not that famous. Needless to say, it has the best community, despite the joining difficult being very high. You can feel assured to get all your torrents from the site once signed up. If you are looking for desktop specific games available on Torrent websites, then you can pretty much explore all the trackers above, which boast all sorts of gaming content that is not only limited to PC, but consoles like the XBOX, Nintendo, and PlayStation too. The gaming-specific sites listed above also have torrents divided by categories. Subsequently, if you want to quickly navigate to games for desktop operating systems, then select the PC category and go crazy! Depending on the file extensions you run into, you will require tools for extracting NRG/ZIP/BIN/ISO. I personally use DAEMON tools for ISO and WinRAR for zip. Once the torrent has downloaded successfully, navigate to the folder location, and take a glimpse of the files. If they are a bunch of .rxx, you will have to use an Un-Raring program like WinRar, 7Zip, or Quickzip. Simply extract the file to reveal the folders in it. If there is a ISO/NRG/BIN file instead of .rxx, as mentioned earlier, you will have to use a loader program like DAEMON Tools, MagicISO, or Alcohol 120%. These programs will mount the image file or if they are multiple help in extracting files from them (make sure to get them all in one folder). Once done, mount the single large file to get the installation prompt. Apart from .rxx and ISO files, you can also get compressed RAR/ZIP files, which means you do not have to install the game. These game torrents are already installed and just require unpacking with a MS-Dos batch file, which enters the program into the registry. It usually goes by the name setup.bat or unpack.bat. After you have extracted the files from any of the extensions above, navigate to the folder you unpacked them and find the setup/autorun.exe file to begin the installation process. Follow all the prompts and setup requirements until it is done, but DO NOT LAUNCH THE GAME YET! Similar to how you would run pirate games on an Xbox, you will have to jailbreak your PS4 and then update its firmware to the most recent version. 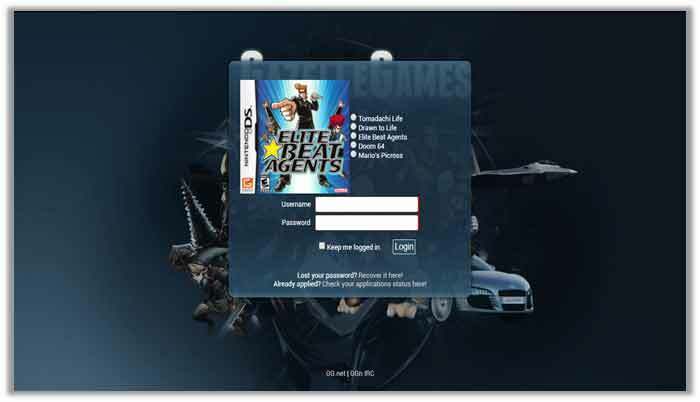 This allows users to run the latest games, minus the high costs and hassle. However, as mentioned earlier, the steps are quite complicated and only a tech-savvy person with the relevant knowledge can jailbreak a PS4. Not to mention, Sony isn’t hesitant when it comes to banning consoles for violations relating to pirated games. So, it is better to consult a professional! Reddit exists as one of the most reliable and unbiased community on the internet, where you can find honest reviews about anything, from movies, TV shows, cars, dairy products, to the more tech-savvy and privacy world, involving VPNs and information about P2P/Torrenting. Upon performing our research on the best Game Torrent Sites, we also checked out Reddit. Below is a comment from a torrent-lover that accurately represents the top sites for you to use (most of which are added in our listing). Is Ocean Of Games Legal? 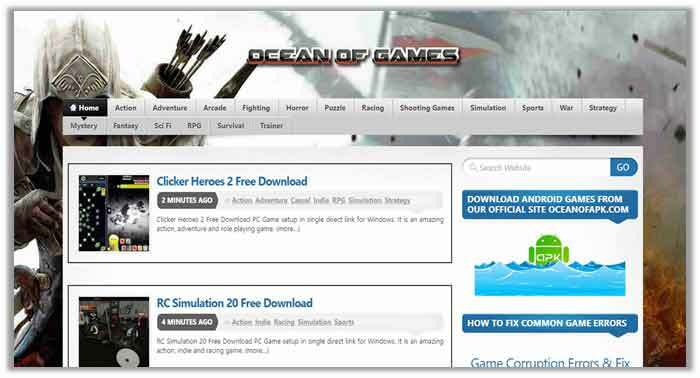 Similar to other P2P/Torrenting websites, the Ocean of Games does not exactly operate legally, as these sites are responsible for hosting torrent files that contain pirated content. As such, they are automatically blacklisted by antipiracy companies, but since the internet is a complete world, they keep reappearing on new domains to meet the demands of torrent-lovers! Can You Play Torrented Games Online? As long as the game supports LAN and Internet Play functionality, you can play games download via torrents online, without any hassle. You just need to make sure that you install the software correctly, update the patches, and use a safe cracked version. This way, it will be hard to determine whether you are running an original version of the game or pirated. How to Crack a Torrented Game? 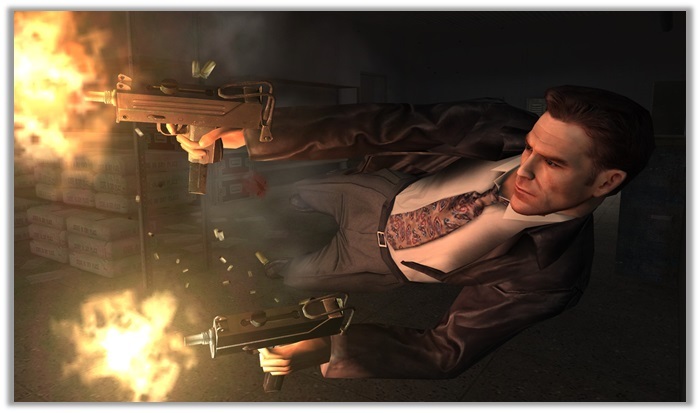 For PC, mostly the torrent game you download will have the cracked file within it, but in circumstances, you don’t – you can rely on https://www.gamecopyworld.com/ to provide you with the latest cracks, updated according to the updates received by the games for preventing pirated access! As Xbox and PlayStation Users, you have to flash or jailbreak your console to play torrented games. And with this, we come to an end with the Best Game Torrent Sites guide. I hope that the information above helped you figure out the best resource for finding your favorite games while installing them safely on your PCs and Consoles. Nevertheless, if you encounter any issues, don’t hesitate on dropping a comment below. Note: Remember to use a VPN to keep your online identity secure when torrenting!